As this publishes, it will be exactly 25 years (give or take a few moments) since I got my first computer. Oh how much has changed in that time. June 24 1986, 6am (UK time) and I awoke with eagerness and boundless enthusiasm. Running downstairs, a huge box is waiting. Well, when you're 6, a large box looks huge, but waiting it was, with a bow, and a big “Happy Birthday” on it. Inside was something that has had a profound change on my entire life. My First Computer. It wasn't new, and it certainly wasn't the most powerful of systems, but it was all mine. A mess of wires,cables and boxes, bags of tapes, and even a few folders; it was a near overload of information. Sorting the system out from everything (my parents had even included a black&white TV set to run it on) and setting it up with the tape deck took 20 minutes. There was time to load a single game from the audio tape before school, but I was hooked. 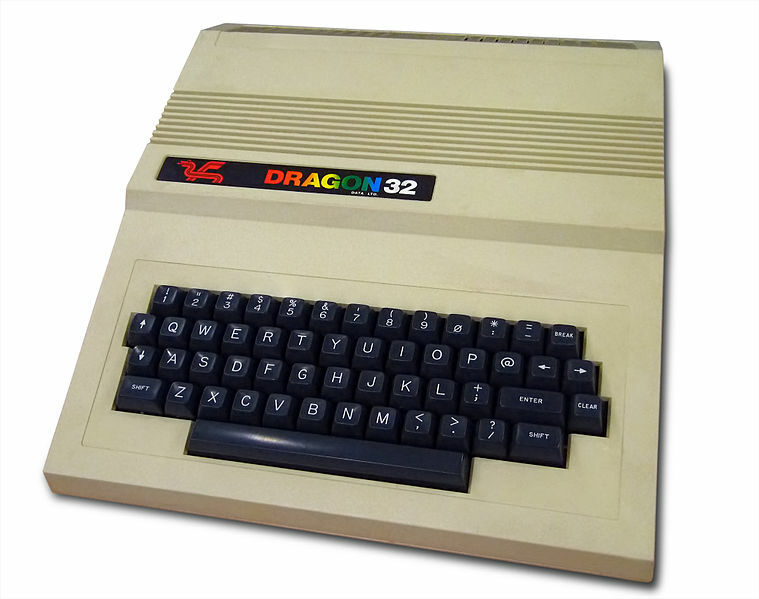 While the Dragon32 in the box was not the most powerful system at that time, it was a nice system to work with, certainly compared to those of today. 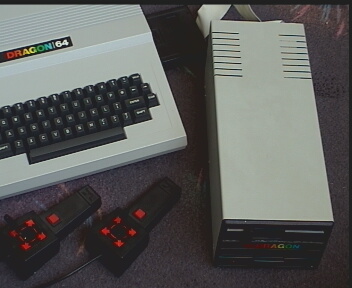 The 1982 built system was a single unit, with the keyboard part of the mainbox. 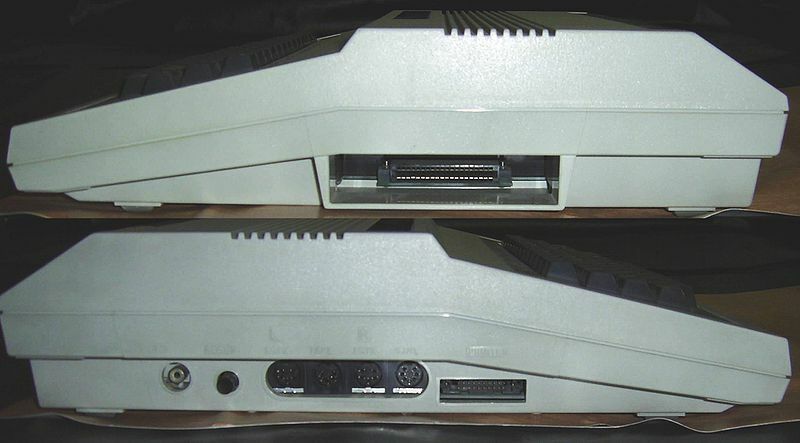 A power button on the back, a reset button on the side, and a bunch of connection ports on the back and sides gave easy connectability. Hit the power button, and it was ready to use with 2 seconds. BASIC was already running, and accessed via the Command Line Interface (CLI). The 32kilobytes of RAM was plenty for the time, as coders had to know their job. Two other peripherals in the box made me feel like a REAL computer geek. One was the disc drive. A huge single-side, double density drive, that could store 180KB. The cartridge to plug it in was roughly the size of a paperback novel, and the drive was too heavy for a 6yo to comfortably move, let alone carry. The other was even bigger. A wide format (15-inch wide paper) daisywheel printer, which made a wonderful mechanical clatter and buzz as it powered up and ran, rattling away at some 40-60 characters per minute, roughly typing speed. Today, 32KB will get you about 3000 words in a text document, or a 400x300 image. 25 years ago, it would get you a full game (some of which TALKED! ), database software AND database, or a full-on word processor. How things have changed. These days, most people have smartphones instead. Most Android phones are not only more powerful than the computers of the early 80s, but have as much power as desktop computers of less than 10 years earlier. In January 2000 I built the BEST system I could get. A little over 6 months ago, my wife got a new phone, a HTC Droid Incredible. Just look at the specs. In 3 years, though, the phone will be useless. With its requirement to be connected, and it's planned obsolescence, parts will need replacing, and just getting software to continue to run on it will be a challenge. The Dragon, on the other hand, with no internet connection, still had the seals over the case screws when it was put into storage in 2001. In 19 years of use (15 of them with me) it had never failed, never needed to be opened, and still ran as well now as it did then. Of course, It wasn't my only system. 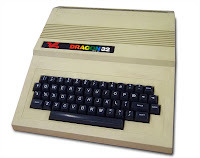 A 48k Spectrum joined the Dragon in 1988 ,and an Amiga A500+ was the first new system, in late 1991. At that point I was also spending significant time on my first native-GUI system, the Acorn A3000 system, the computer of choice for UK Schools, a system I would work on until 1998, as the school phased them out for Windows systems and I moved to University. In September 1995, I bought my first x86 (or 'windows' PC) a cyrix dx5/100 AST (Advantage! 611). Replaced with a P120 in 1997 (HP Vectra 6L) and then the custom system above. Computers have come a HUGE way over the last 25 years, but in many ways, things are changing for the worse. Computers have lost their reliability, and while they are now easier to use, they've become harder to actually work with. The drive for ease of use has resulted in making things more complex, and slower. In the time now takes to boot up a Windows system, and load a program, I could have turned on an 80s computer, and loaded the program from cassette tape. It's this level of speed, and clarity that needs to come back, and should be a prime focus in the next 25 years.